Mirador de Laguna de los Tres. Views of Piedras Blancas Glacier. Pick-up and drop-off from/to hotels in El Chalten. Round-trip transportation from hotel "Hosteria el Pilar". The exact pick up time will be reconfirmed at the hotel reception the day before the tour date. We recommend that you bring: hiking gear, good shoes, water, and food to snack on. Allow us to show you why El Chalten is known as the "Trekking Capital of the World". Our expert and certified guides know the area like the back of their hands, knowing where all the best viewpoints are located. Hiking along the Rio Blanco, we will have plenty of opportunities to experience the incredible beauty of the area. We will have the chance to take in the sights of Fitz Roy Massif, Capri Laguna, Laguna Sucia, and Piedras Blancas Glacier, to name a few. 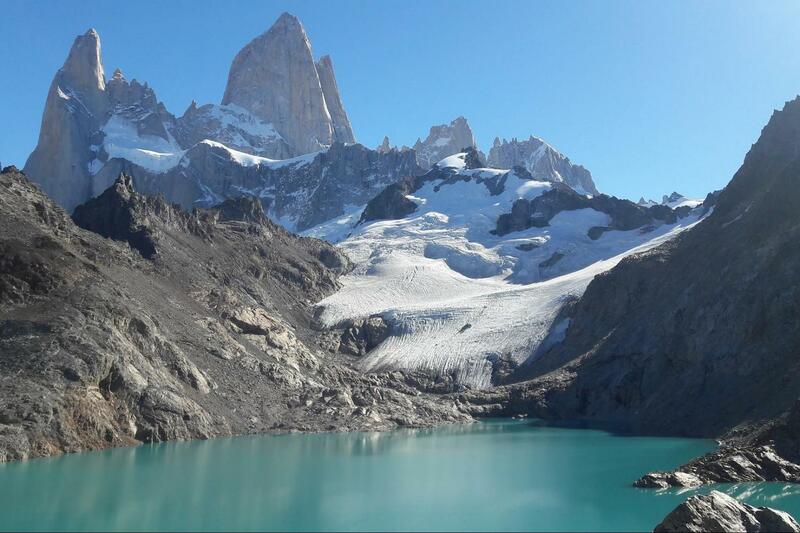 But the highlight of the trek is our stop at the legendary Mirador de Laguna de los Tres. This is a day to remember for years to come! It was a great day for a hike, and our guide Mariano is the best guide! Not only he patiently waited for my cousins, he also gave commentary along the hiking trail about the local flora and fauna. We started at 8 am and continue the hike toward the Laguna de los tres. The hardest trail that’s paid off once reaching the Laguna. The view was just amazing and truly once in a lifetime experience. All in all, it was the best hiking experience.